Very pleased to announce the release of DF‘s first audiovisual EP, abcdf. You can watch the five videos (one of which is interactive!) below. Posted in Uncategorized on September 23, 2017 by Dustin. Well better late than never. Here is the poster for DF‘s first tour, which happened earlier this summer. We had a blasty-blast! Posted in Uncategorized on August 4, 2016 by Dustin. Stoked to be on this mixtape from one of my very favorite venues in Montreal. Posted in Montreal, Saxophone, Uncategorized on April 14, 2016 by Dustin. This was my third summer playing with the Band of the Ceremonial Guard, and it was a great season. During one of our last parades, a clarinet player set his instrument aside, strapped a GoPro to his chest, and filmed the entire event! He was directly behind me, so you can get a taste of a day at the office. I’d love to answer any questions about the ceremony or what the job is like in the comments section below! Check it out on CG’s Facebook page. Posted in Music, Uncategorized on August 24, 2015 by Dustin. It happens to every saxophone player at some point. You’re playing your heart out, approaching a triumphant arrival on a G#…and a G comes out. Curse those sticky keys! In my experience, a proactive approach is the best way to prevent saxophone pads from sticking. My saxophone repairman (who may actually be a wizard) gave me few tips. Oral Hygiene: According to my repairman, the number one cause for incessantly sticky keys is playing with a dirty mouth. The solution is simple. If you are going to play your instrument within a half-hour of eating or drinking, brush your teeth. With a travel toothbrush in my case, I find this to be an easy habit to keep. Sometimes keys still stick. The guilty parties are often keys that stay closed when the horn is not in use, such as G# and low C#. If brushing your teeth before each playing session isn’t helping, what then? Hair End Papers for Perms: Another gem that only a repairman with decades of experience would know to recommend. Many people use dollar bills or powdered paper. However, both of these leave unwanted residues behind that can damage the pads and cause leaks over time. Perm End Papers, on the other hand, remove the moisture that causes sticking without doing any damage. Slide the paper under the pad, hold the pad down, and slide the paper out. Voila! Replace the Pad: Talk to a knowledgeable repairman about what options are available. I have had success with using Roo Pads on my G#. 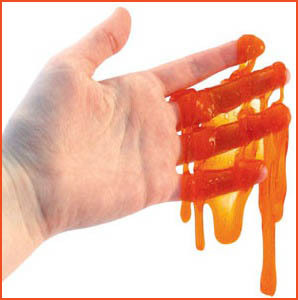 Hopefully with a few proactive steps, sticky keys will become a worry of the past! Click here for more saxophone lessons. Posted in saxophone lessons montreal, Uncategorized on July 18, 2015 by Dustin. Beginning to learn the saxophone is an extremely exciting and rewarding experience. I can still remember my first lesson when I was nine years old. It was such a thrill to put the instrument together for the first time and make a sound! Now, I frequently have the opportunity to be on the teaching side of this special moment. I get to see a student’s eyes light up as they learn how to assemble the instrument and hear themselves play their very first note. But before all this can happen, you will need an instrument to play on! When it comes to beginner saxophones, not all equipment is created equal. Students who begin their studies with proper equipment often advance more quickly and enjoy playing more than students with a lesser instrument. Additionally, many students (myself included) find it more exciting to practice on a better instrument. When squeaks and squawks don’t impede your playing, you can really focus on making great music! Yamaha YAS-280, YAS-23, or other Yamaha Student Model. I strongly encourage all new saxophone players to begin on a Yamaha instrument. While there are a wide variety of excellent intermediate and professional saxophone makers, I have found that Yamaha’s student horns cannot be beaten in quality and consistency. Students starting on these instruments have the opportunity to learn what a horn with quality mechanics and reliable intonation feels like. This is hugely important for future development and enjoyment! Yamaha 4C Mouthpiece. Again, Yamaha is the unrivaled choice around the world for beginner mouthpieces. A beginner needs a mouthpiece that seals properly with the reed, plays in tune, and is free blowing. The 4C is a relatively cheap and consistently excellent option. I strongly discourage students from playing on “stock” mouthpieces as I have repeatedly seen the frustration it can bring. Properly fitting ligature. While more advanced and professional players may seek the unique timber of a particular ligature, a beginner simply needs one that fits the mouthpiece and holds the reed with even pressure. Simple is good. Rico Royal 2.5 Strength Reeds. The standard for beginners. Ideal for learning and development. Reed Guard. You can learn more about reed cases here. Cleaning Kit. Pull through swabs are great. Never leave a long, fuzzy cleaning rod in your sax. They collect moisture and bacteria and damage the instrument. Saxophone Case. This usually comes with the instrument. Pencil. Essential for all musicians, always. While there is no substitute for regular, deliberate practice, the right gear can make a noticeable difference in sound quality, intonation, and technical facility. The equipment described above will give any student an excellent start. However, if there is room in your budget, below are my recommendations for a serious beginner or intermediate player. You can mix and match items from either list and will have great results. Yamaha 480, 475, or equivalent. Again, Yamaha gets my vote. My students who play these horns sound great! Vandoren Optimum AL3 Mouthpiece. I recently switched to this mouthpiece (after playing its big brother, the TL3, on tenor of years) and could not be happier. Historically, it was recommended that students switch to a Selmer C* when looking to upgrade mouthpieces. While the C* is famous for its consistent intonation, the AL3 offers a more open, colorful sound in addition to quality response. I’m a big fan! Rovner Dark or Vandoren Optimum Ligature. These are two options I’ve had success with at different stages of my own development. Today I do all of my professional work on the Vandoren Optimum. However, as long as a ligature fits the mouthpiece and holds the reed evenly, it’s acceptable. Make a fieldtrip to your local music store, try out what they have, and discover what you like! Vandoren Blue Box. Another staple among professional players. A great choice for students looking for more consistency as they develop their tone. Rico Reed Storage Case. I rant and rave about it here. Padded Neck Strap. A cozier option for longer playing sessions. Protec Case. Better protection and convenient for transportation. Cork Grease, Cleaning Swabs, and Pencil as above! Unfortunately, many new musicians trying to be penny-wise end up pound-foolish. If you’re starting an instrument as a new hobby, it should be a source of great enjoyment, not frustration. Invest in yourself by choosing equipment that is fun to play and will help you grow. When considering how to make all of this equipment fit in your budget, there are several options besides buying new. Many music stores offer rental and “rent-to-own” programs. This is how I began. Other students may look at used instruments. For this option, get the damage/repair history of the instrument. Most instruments will need a professional tune up after purchase. If possible, ask a professional player or your teacher to try out the instrument in order to determine its quality. Congratulations on choosing to play the saxophone! Disclosure: Please note that the links included are affiliate links. At no additional cost to you, I earn a small commission if you decide to make a purchase. I am not sponsored by any of these companies, but I have experience with all of them and recommend them because I truly believe they are the best (not for the small commission). Please do not buy these products unless you believe they will help you achieve your goals. The summer before I entered my junior year of high school, I attended the New York Summer Music Festival where Dr. Paul Cohen is director of the Classical Saxophone Institute. Dr. Cohen is the owner of one of the world’s largest private collections of saxophones. Having the opportunity to learn about and try some of his rare and one-of-a-kind instruments stands out in my memory as a highlight of the Institute. I recently came across a video of the U.S. Army Field Band Saxophone Section talking with Dr. Cohen (who grew a sweet goatee) and trying some of his instruments. Check it out for some saxophones that belong in a Dr. Seuss book! Which one do you want to play most? Posted in saxophone lessons montreal, Uncategorized and tagged army, rare, saxophone, unique, video, vintage on June 8, 2015 by Dustin. Which do you consider the most important in your playing? Why? Posted in saxophone lessons montreal, Uncategorized and tagged how to, music, saxophone, sound, woodwind on May 30, 2015 by Dustin. Opening my reed case used to be an emotional roller coaster. Not the fun type of roller coaster, but the type where eating a chili-dog two minutes before was a bad idea. I hated feeling that I had no control over how the reed I selected would play. Would it sing or be stuffy? Would soft notes speak or run and hide? Learning to break in reeds properly was the first step off of this anxiety inducing ride. Then I upgraded to a humidity controlling case. Finally, I focused on how I cycle through reeds. I’d like to offer three simple practices that have made a big difference in the life and performance of my reeds and hopefully can be helpful to you too! Labeling reeds is a simple method for keeping track of their age and condition. I’ve been using this system for a long time and felt pretty smug when David Shifrin (one of the the world’s top clarinet players and music educators) recommended this exact method in a master class. 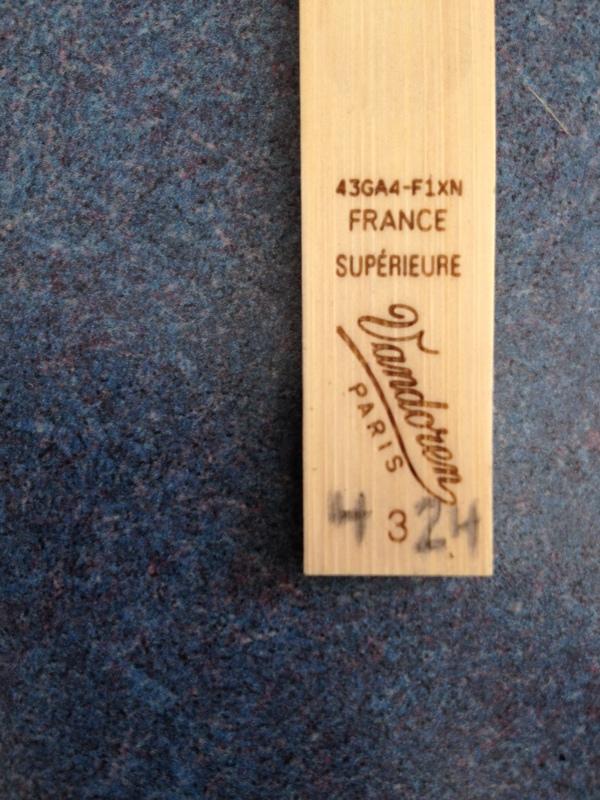 Every time you start a new reed, record the date in pencil at the base of the back of the reed. The reed in the picture below was started April 24. If you start more than one reed on the same day, add letters. For example, if I began breaking-in additional reeds on April 24, they would have been labeled “4/24B”, “4/24C”, and so on. Dating your reeds (how romantic) will help you keep track of when a reed is broken-in as well as micro- and macro-rotation (described in the sections below). Additionally, if a reed is particularly firm I will write a “+” and if it is particularly soft a “-”. I refrain from doing this until after a reed is fully broken-in because so much can change during that process. While you’re probably thinking this section describes hula-ing with a very small hoop…Micro-rotation addresses reed use choices during a single playing session. The main idea here is to play more reeds for shorter periods. I like to switch reeds every 30 minutes during a practice session and during breaks in an ensemble rehearsal. By limiting time on each reed, it becomes easier to avoid water-logging and maintain ideal reed humidity. This prevents good reeds from wearing out too quickly and extends the life of reeds in general. Pairing labeling with micro-rotation makes it easier to remember characteristics of different reeds. For instance, I might think, “I’ll start my warm up on 4/22(-) because I know it’s a softer reed,” or “5/2b will be great for the recording session tomorrow because it plays with an open, singing tone.” By playing more reeds for shorter periods each day, it becomes easier to remember the qualities (good or bad) of each reed, to be more attuned to subtle differences between reeds and in the same reed over time, and to make reeds last longer. Woo! While micro-rotation deals with day-to-day reed selection, macro-rotation looks at the entire lifecycle of a reed: from out of the box to into the trash can. The number of reeds in rotation at a time and how long each reed lasts will vary based on performance needs and practicing habits. I have found that eight reeds (per instrument) works well and conveniently is how many reeds my favorite case holds. Playing an average of three hours a day, most reeds last about six weeks. However, the performance of the reed varies over that lifetime. Newbie: All reeds start by being broken-in. I usually have 1 or 2 new reeds in my case. Playable: These are reeds that can be used for practice and rehearsals with confidence. Typically 2 or 3 of my reeds are in this category. All-Star: These are the best reeds in the case. They can very confidently be used to perform. If you have any upcoming performances, shoot for having 3 of these ready to go! Exiting: Over time, reeds stop playing as effectively. Reeds in this category are still Playable, but will soon be replaced with Newbies. Often a reed or two in my case will be at this phase. Trash: At some point, all reeds must die. Some reeds were doomed out of the box and others play fantastically for months, but as soon as it’s clear that a reed is causing stress and eating up precious practice time, it’s time to make way for some new cane. The key point of rotation is between Newbies and Exiting/Trash. With eight reeds, I find one becomes Trash every week or two. At that point a Newbie enters. What I’m trying to say is… Regularly replace Trash reeds with Newbies. The one problem I occasionally run into is having too many good reeds. While this is only a dream for most wind players (and is certainly a high quality problem to have), it presents the risk of having multiple reeds become Trash simultaneously. The key here is to be proactive and always have a few All-Star reeds. Keeping a high standard and being fastidious in deciding which reeds will stay in the rotation will ensure a case full of helpful reeds, rather than a case full of fear. Label each reed with the date it was first used. Add a “+” or “-” to indicate extremes in firmness. Develop a habit of micro-rotation by switching reeds every 30 minutes or so. Consistently start new reeds as old reeds expire. Strive to have at least three performance-ready reeds available at all times. Posted in saxophone lessons montreal, Uncategorized and tagged Montreal, music, music lesson, reeds, Rico, saxophone, saxophone lesson, saxophone reed on May 28, 2015 by Dustin.